I recently got my first Diamond Candle and I absolutely love it! I love mine so much that I want to share the fun with you guys! I’ve teamed up with two of my favorite blogging buddies: Mom’s Confession and Mommy’s Money Saving Obsession to bring you this Diamond Candle Giveaway! 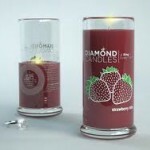 We’re giving away two Diamond Candles in the scent of your choice and they’ll be shipped STRAIGHT to your home! If you’re not familiar with Diamond candles, every single one of these earth-friendly, all-natural candles has a ring inside worth $10, $100, $1,000 or $5,000! The candles come in fun, yummy flavors like Apple Slice, Carnival Candy, Chocolate Truffle, Cinnamon Roll, Cupcake, Gingerbread Latte, Honeydew Melon, Lavender Lemon,Strawberry Bliss, Tropical Retreat, Vanilla Cream and more. The giveaway starts at 12:01 a.m. ET on 7/17/2012 and runs through 7/31/2012 at 11:59 pm ET. 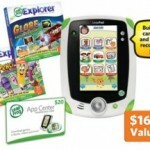 The winners will be chosen using Random.org and will be notified by e-mail. 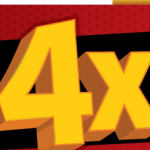 The winner must respond within 48 hours or a new winner will be chosen. This giveaway is not sponsored by or affiliated with Diamond Candles, Twitter, or Facebook in any way. This giveaway is solely sponsored by these three blogs as a thank you for being great fans! 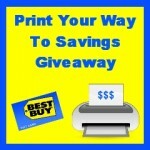 Print Your Way to Savings: Enter to Win a $120 Best Buy gift card! It doesn’t matter what kind I get. Couldn’t comment on giveaway post, I’d love to try the Carnival Candy scent! I’d like to try that one. There was no place on the Rafflecopter page to leave a message. I want to try Lavender Lemon or Tropical Retreat. I would love to try Carnival Candy or White Chocolate but I’m not picky I love burning candles and there is a prize inside, very neat idea. I would love to try the Pomegranate Lemonade. I want to get the Cuddle Candle scent! I want to try their new scent, Fresh Cut Grass! I also want to try Summer Time. I would love to try the Watermelon Candle. I have the Chocolate Truffle, Vanilla Cream, Strawberry Bliss, Honeydew Melon, & Cupcake. I love these candles. I’d like to try the Apple Slice or the Coconut one. I love candles. I woild like to try the cupcake or lavender lemon. I would love to try the cinnamon roll or the vanilla cream, but all of them sound yummy smelling! The coconut and the Lavender Lemon sound yummy too, they all sound pretty yummy! I would pove to try Cozy Cabin and Tropical Retreat. Thank y’all for doing this! Would like to try the Cinnamon Roll. I would like to try the Cupcake scent. I would love to try the apple slice. Sooooo many to choose from. I would love to try the Carnival Candy – Honey dew – or Hawaiian Coconut! i want to try watermelon!!! pomegranate lemonade would be divine! or maybe strawberry bliss!! So many choices!! I would love to try strawberry bliss or tropical retreat. Mmmm, I want to try the honeydew melon, lavender lemon, or tropical island. I would love lavender lemon, honeydew melon, or tropical retreat. Mmmm! I would love lavender lemon, honeydew melon, or tropical retreat. I have never tried these. And I love candles. I have been wanting to try them. Would love to try any of them but the Lavender Lemon sound good! I want to try cuddle! Oh, cinnamon roll sounds good. Never tried on of these yet. Oh, cinnamon roll sounds good. Haven’t tried one of these yet. I would love to try Watermelon, or any of the other melon flavored scents! Carnival Candy… Never tried it, but would love one! 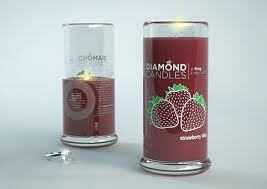 Waiting for my first diamond candle. The raffelcopter form wouldn’t let me confirm that i left a comment so it sent a report. E-mail is katrina4379 @ yahoo (dot) com. I’d like to try the carnival candy or the cupcake. I’d love to try the Honeydew Melon scent. Any scent. I love candles! Surprise me! They all sound nice! Hawaiian Coconut…..have purchased 2 and absolutely love them…takes me back to the beach as a teenager. I would love to try the Carnival Candy, but any scent would be fantastic! I’d love to try Sunwashed. I don’t know if I can pick one scent!! They all sound fabulous! Maybe lavender lemon?!? Cinnamon Roll sounds so nice! I am intrigued by the ring inside now that everyone is posting about it! I do absolutely love candles! Honestly, I don’t really care what scent I get, if I win! They all sound soooooo yummy! I would defnintely want it to be a surprise! I love the scent of Honeydew Melon. It’s very fresh and clean. The Cinnamon Tea sounds nice for the holidays! Lavender Lemon, Cinnamon Tea or Vanilla Cream, they all sound so good. I would love to try vanilla cream ,but I would be sooooo happy with eny one of them I just wont to try them. I would like to try the Sweety Pea scent. I would choose black if I won. I would love to check out Summer Time or Tropical Retreat! I’d love to have the Tropical Retreat and/or the Rosewood! Would love to try Dusk or Midnight Kiss! Would love to try one of the new scents!! I would love to get the Pecan Pie scent! It reminds me of Fall- especially in Summertime! I would love to try just about anything that has a sweet smell to it! I Would love this for my new house!!! I would loe to try Laendar Lemon. I would love to try apple slice. Luv to try their apple slices. I would love to try the Midnight Kiss one! Thanks for the chance! Vanilla or lavender would be great! I’d love to try Hawaiian Coconut! I’m torn between three scents! I’d like to try Cinnamon Tea, Orchid Meadow, and Strawberry Bliss! I would love the opportunity to try the Honeydew Melon! I would like to try Carnival Candy or Lavender Lemon!! I would be SUPER excited to win one of these!!! Fingers crossed! I would love to try the coconut or tropical retreat! So many, I’ve heard so much about the cupcake I want to try it, also strawberry… Thanks for giveaway. The carnival candy sounds yummy! The cupcake scent sounds amazing! These candles are so fun! I have never gotten one yet but would love to get one!!! Thanks for the great giveaway!!! I would love to try the Orange Dreamsicle. Gingerbread Latte????? Wow!! I love Candles and the smell all through my house of some nice spicy ones!!! I would love to try Carnival Candy! Thanks for the giveaway. I would love to try the lavender lemon candle. I think I would love white chocolate. I would love to try the strawberry bliss or cupcake! I’d love to try Carnival Candy or Cupcake. Thank you! I would love the watermelon wedge! I would love to try Fresh Cut Grass and Cozy Cabin! I would love to try most of them but I think I’d start with the vanilla or the apple. I want to try Cinnamon Roll! Would like to try watermelon! I would love to try Sunwashed scent. Honeydew melon would smell great! Strawberry Bliss, Vanilla Cream, Cinnamon Bun…..or anything! I am not picky. Honey Dew Melon would smell wonderful! I always like Vanilla or Lavender. I would like to try the Orchid Meadow candle. Thanks SO much for the giveaway!!! I would love to try the gingerbread latte scent…yum! I always like the cupcake scent. I would love to try the honeydew melon. Thanks for the giveaway! It is a toss up between Hawaiian Coconut and Strawberry Bliss!!! i think i would like to try the orange vanilla or honeysuckle! I would choose Tropical Retreat. Gingerbread Latte sounds too good to be true! Just the thought of the Honeydew Melon makes my mouth water! I think Lavender Lemon would be wonderful! 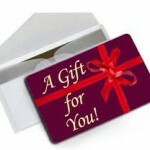 Leeann – the winners are listed on the Rafflecopter entry form now.